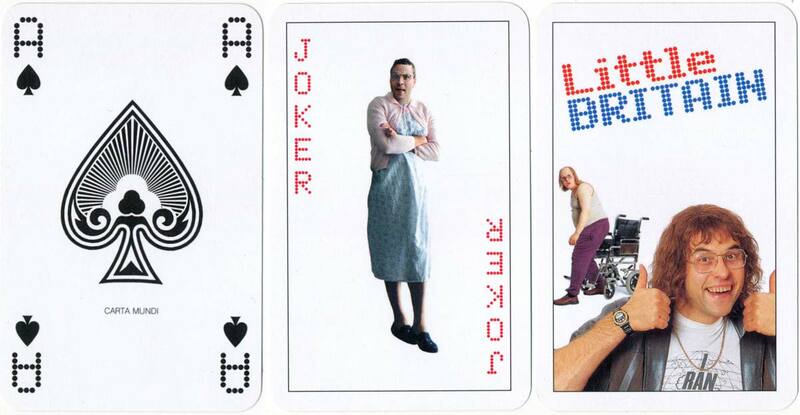 “Little Britain” fan deck published by the BBC in 2005. The custom courts and jokers feature characters from the comedy sketch show which was created by Matt Lucas and David Walliams and ran between 2003 - 2007. 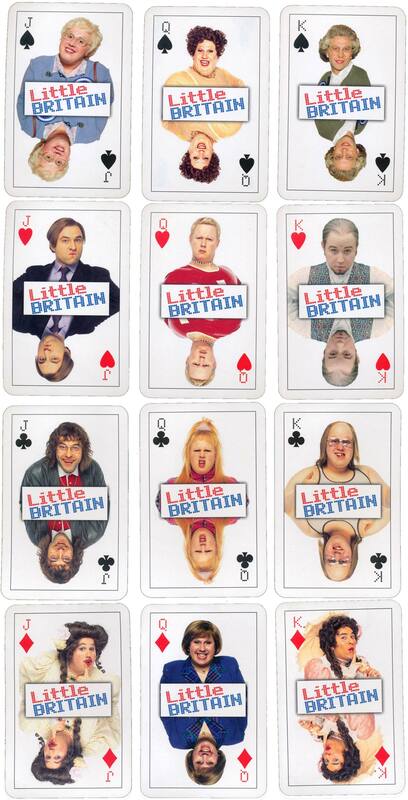 Above: “Little Britain” fan deck published by the BBC and manufactured by Carta Mundi, 2005. Images courtesy Matt Probert.